There are 57 individuals employed by Shawanaga First Nation, the majority are full time but there are also part time workers. It is anticipated that the First Nation will be hiring an additional five people by the end of 2014. 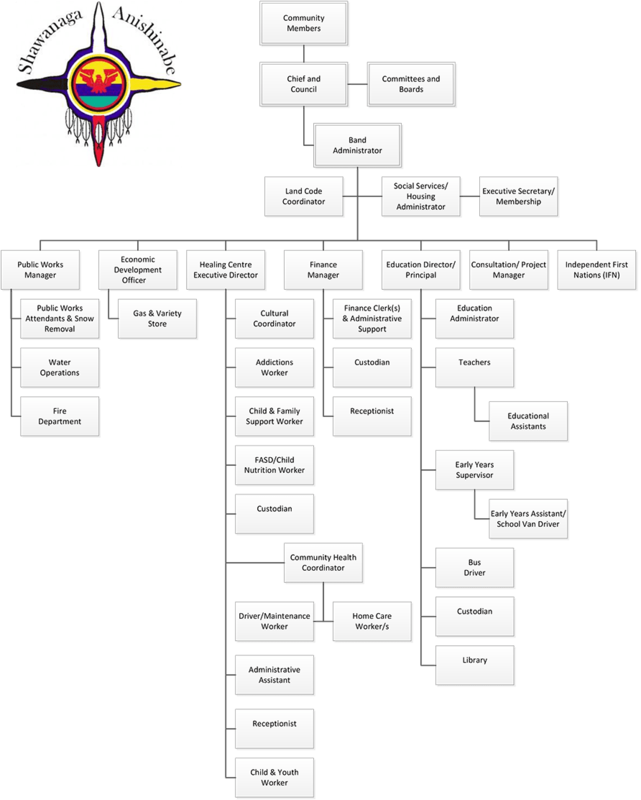 Shawanaga First Nation has eight departments as part of its operations. 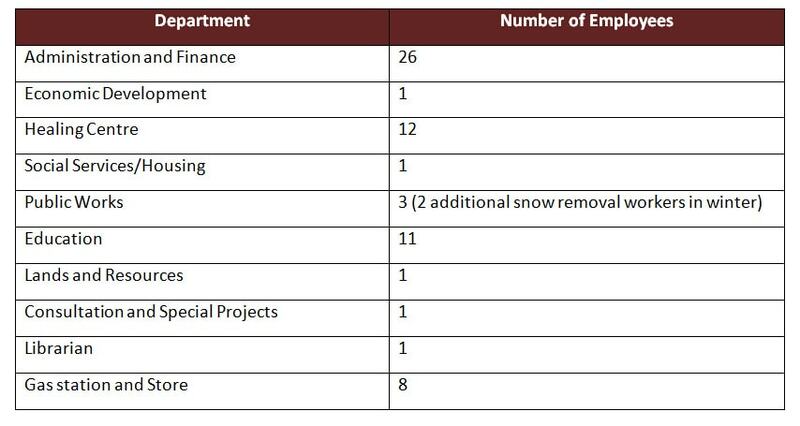 The following table lists the departments and the number of employees in each one. As it is a small community, some individuals have responsibilities in more than one department. The First Nation also owns Shawanaga Gas and Variety.